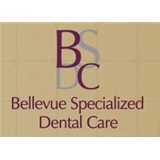 Bellevue Specialized Dental Care (Bellevue) - Book Appointment Online! Our team is dedicated to maintaining our reputation by providing our patients with the highest quality dental care in a safe, friendly, and state-of-the-art environment. Bellevue Specialized Dental Care focuses on the treatment of Facial Pain and TMJ disorders, Dental Sleep Medicine, Oral and IV Sedation and Oral Medicine.